You can use the form below to book a boiler service with us. Established in 1993 by Hugh & Anne McWilliams, H&A have grown from a payroll of 6 people to an employee base of over 300 people. In the early days of the business our core discipline was mechanical services. 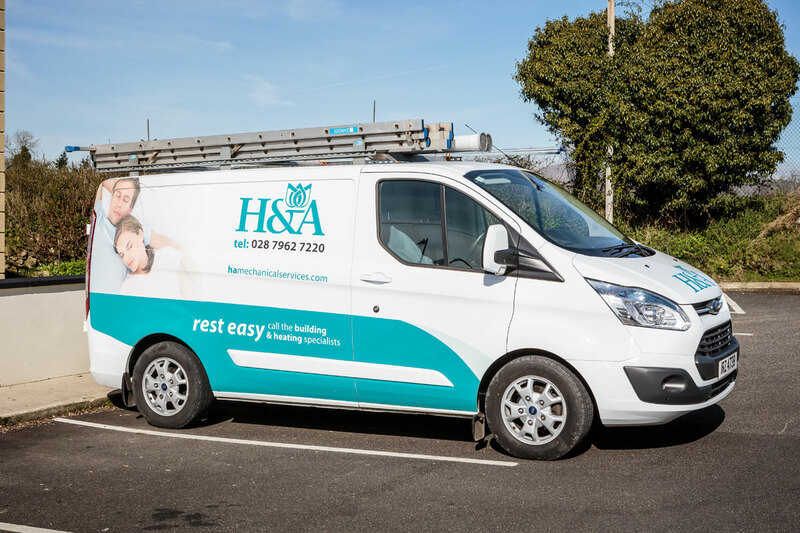 However in recent years H&A have diversified into new areas these include, building works, kitchens, bathrooms, refurbishment, external cyclical maintenance, electrical and renewable energy. During this period our client base has widened considerably seeing us deliver private one off installations, projects within social housing throughout Ireland, Commercial/Industrial projects to blue chip companies and a variety of government schemes aimed at combating fuel poverty. With offices located in Draperstown, County Derry, Mallusk, County Antrim and Clane, County Kildare, this allows us to deliver schemes on a whole Ireland basis. As a family run company, we have a strong personal stake in every project we undertake, so we take particular pride in a job done right. The ‘getting it right first time’ approach is a fundamental approach to our business. We talk to the people we are working with and find out what they want and need. Our management systems 9001/14001 and 18001 provides us with a mechanism for controlling and assuring that we deliver a consistent quality of work safely and with the minimum impact to the environment. At H&A we do not meet the industry standards we exceed them. H&A Mechanical Services Ltd is Authorised and Regulated by the Financial Conduct Authority FRN738248. We are a Credit Broker not a Lender and offer Credit from One Lender.